Permafrost samples (1–2 g) were placed into Petri dishes with the Prescott–James medium and cultivated at 20°C for several weeks . The clonal cultures of nematodes were obtained from the enrichment culture. the first data demonstrating the capability of multicellular organisms for longterm cryobiosis in permafrost deposits of the Arctic. the first viable multicellular organisms, namely, soil nematodes, have been isolated from permafrost deposits. our data demonstrate the ability of multicellular organisms to survive long-term (tens of thousands of years) cryobiosis under the conditions of natural cryoconservation. 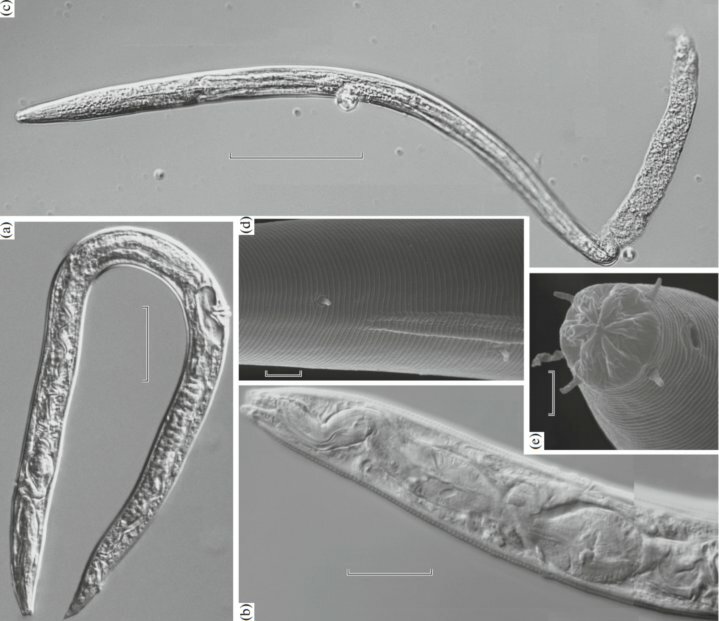 Viable Nematodes from Late Pleistocene Permafrost of the Kolyma River Lowland. Shatilovich et al., 2018. Doklady Biological Sciences, 2018, Vol. 480, pp. 100–102. Most carbon-14 is created from nitrogen-14 in the earth’s upper atmosphere as a consequence of cosmic ray bombardment. It is one of several similarly formed cosmogenic nuclides. Newly formed carbon-14 atoms oxidize to carbon dioxide and become thoroughly mixed with the other atmospheric gases, through atmospheric dynamics. Upon reaching the earth’s surface, a small percentage of carbon-14 containing carbon dioxide is taken up by plants and then incorporation into plant biomolecules via photosynthesis. It becomes incorporated into the biomolecules of heterotrophic organisms (animals) via the food chain. Copyright© 日本の科学と技術 , 2018 All Rights Reserved.